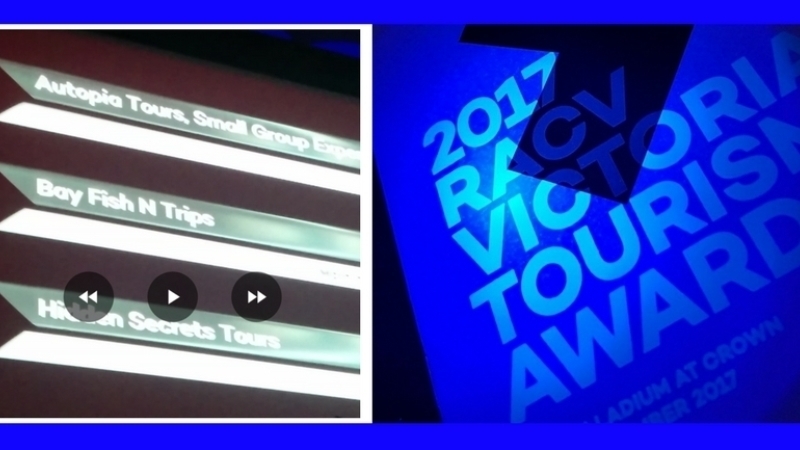 Bay Fish N Trips is proud to announce that we have won a Finalist Award in the Tours & Transport Operators category at the 2017 RACV Victorian Tourism Awards. Our entry showed a strong demonstration of business excellence in a rapidly growing tourism and events industry. We were up against some strong competition so receiving this award in the Tours & Transport Operators category is a wonderful achievement for the team. Finalists are recognised as winning entrants that score above 75% in their selected category but are outside of the top three winners. The winner is the highest scoring entrant in each category. 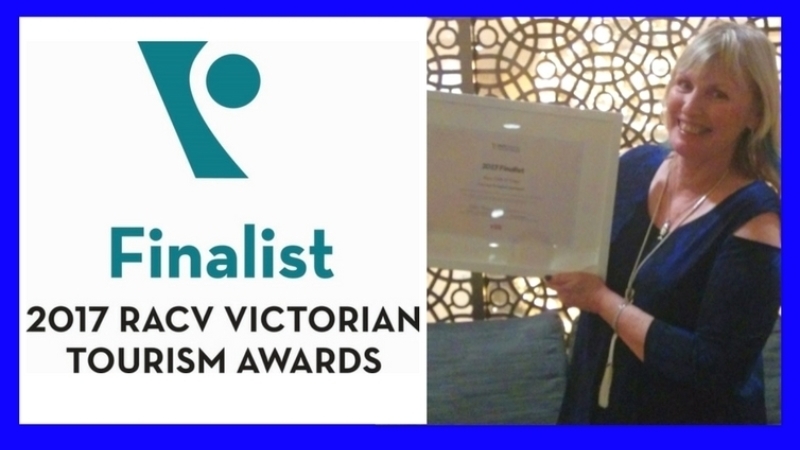 With 30 categories and 2 people’s choice awards, the Victorian Tourism Awards represent an industry framework for peer recognition which fosters a culture for business development to strive for excellence and innovation. 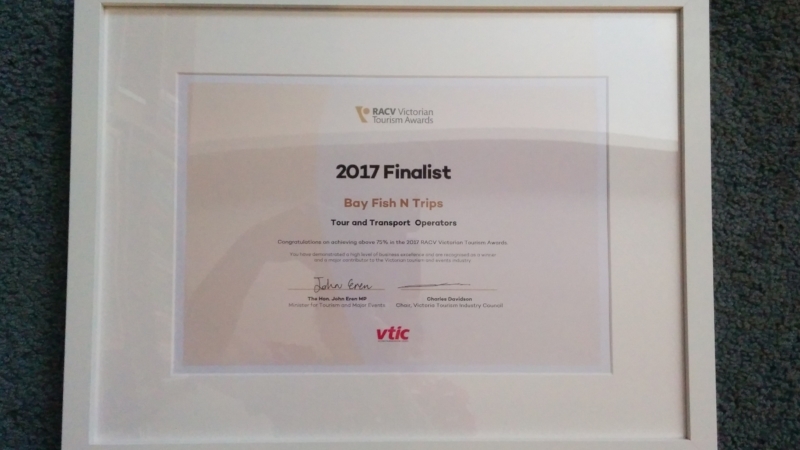 Bay Fish N Trips are proud to be part of the Tourism Industry in Mornington, on the Mornington Peninsula and in Victoria.